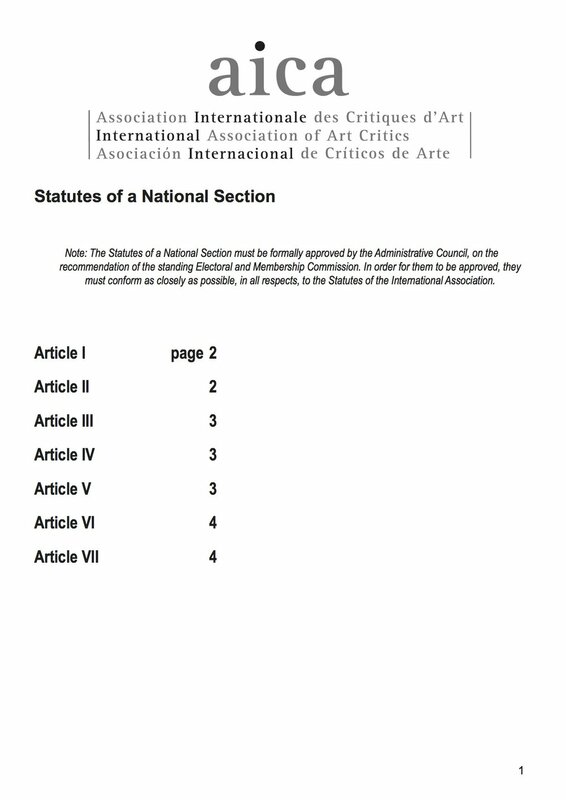 Statutes of the National Association. These should be based as closely as possible on the new AICA Statutes, after taking local factors, including national legislation, into account. (The ‘Statutes of a National Section’, which are posted on the AICA website, are intended merely as a guide, but may be of assistance to you, in setting the drafting process in motion). You should note that, as a rule, the Administrative Council meets once in around February and a second time immediately before the General Assembly, which tends to be held in the second half of the year. Text revised on 30 June 2005 and still available.